It never ceases to astonish me how so few British managed to conquer the entire subcontinent, maintain their rule for a fairly long time, and easily crush every rebellion they encountered! I’m still not sure I understand the dynamics of those times (late 17th/early 18th century India.) Both self-praising British historiography and Indian nationalist myth-making have obscured that period from us. I would like to understand the aspirations and motivations of Indians during that period, but I’m not too hopeful. Was it just that the quality of the leadership and the elites was abysmally poor throughout the country (even rare exceptions like Ranjit Singh, Holkars, Hyder Ali, were completely unsuccessful at state-creation for longer than a generation.) Was it that the general public saw the British as preferable to their local rulers? Was it that the general public was so downtrodden and intellectually bereft that they didn’t care who ruled them, and when the elites were vanquished, that was the end of the native kingdoms? Does this book provide any answers? I read the Kindle preview on Amazon, but that just provided a very Scottish PoV. It was all a matter of loyalties ; ordinary people gave their loyalty to their local ruler; who gave their loyalty to the British. That shows the moral and spiritual vacuum of the feudal elite in India in that period. In the late 18th C, if the Mysore Kingdom of Hyder Ali, Maharatta Kingdom and the Sikh rulers had made a Confederation against the west, they could have easily held them at bay . These kings fought with each other to the last and fell prey to the British one after another. These Indian kings were unable to look beyond their kingdoms or palaces and see bigger trends developing. Disunity – like the India Pakistan tussle at present – is the real reason for the easy success of western colonialism. Even now nobody bats an eyelid at the presence of NATO troops in Afghanistan . VijayVan, I share your sentiments regarding British raj. The scenario you depicted, “the moral and spiritual vacuum of the feudal elite in India” continues into 21st century Indian politics. A foreigner was able to hold a ruler position with a Sikh as a front man. It didn’t seem to hurt the sense and sensibility of the natives. Sonia Gandhi is hardly a foreigner now. This is a right-wing canard. She wears saris and speaks Hindi. She has spent decades serving the INC after the untimely murder of her husband. In South Asia, isn’t the daughter-in-law considered to belong to her husband’s family? She didn’t accept the Prime Ministership in 2004 for exactly this reason: too many people will hold her Italian background against her. I guess you will reject Rahul too, since he’s half-Italian. Or is he kosher since his dad was a native Indian? I’m sorry, but your demand sounds very similar to Trump’s (and other right wingers’) demand for Obama’s birth certificate. Clearly, your issue with Sonia (just like Republicans’ with Obama) is that you perceive her as a foreigner who is and always will be disloyal to India, and is working against Indians’ interests. Her production of a piece of paper certifying citizenship status (a trivial thing to do for someone with her influence) is not going to allay your concerns, whatever their basis might be. Presumably if she’s been getting elected to the Lok Sabha, she is an Indian citizen. Unless there is some grand conspiracy to subvert election laws. She was asked to be Congress President and that makes sense given the dynastic nature of South Asian politics. They needed someone from the family and there she was. The grieving widow angle probably played well as well. It is only the right-wing that is fixated on her background and insists on calling her Sonia Maino (or “the Italian au pair”). It’s no secret I am sympathetic to the INC (it is a center-left party after all) but beyond that I hold no particular brief for Sonia Gandhi. I am impressed with her for keeping the party together so Rahul could take over. She’s a smart woman. But my question was more general. Is it not a tradition in our subcontinent for the bahu to be considered part of her sasural? Why are we not extending this to Sonia ji? Also, if your issue is with someone being foreign born and raised, then presumably Rahul is OK with you because he was born and raised in India. Or does his Italian mother make him unacceptable as well? Since you brought in the US: If you marry an American citizen, you are eligible to become one. You cannot become President but any other political office is open to you. Anyway, this is a digression from the topic of the book review which was the East India Company and its rule in India. That is exactly right. People who don’t like the INC (for whatever reason) are fixated on Sonia ji’s background. This kind of nativism is quite indefensible in my opinion. I’m sure reasonably intelligent people can find more substantive reasons to dislike the Congress. shows everything wrong with the political culture of India. As a matter of fact that has what has happened and your nonchalant acceptance and justification of it is wrong . That IS the spiritual and intellectual vacuum in which country slides into foreign occupation and slavery as happened during 18th century . Constitution has been framed and those who aspire to higher offices should be vetted thoroughly as per the rules the country has framed for itself. In fact higher the office, the vetting should be more thorough . Not only thorough, it must be made public .Apart from the constitutional probity, the question of person’s understanding of the people, history should all be thoroughly factored in. I am willing to evaluate a substantive critique of Sonia Gandhi as a potential Manchurian candidate (or whatever), but I haven’t seen that yet in your comments. Unless you can articulate the roots of your suspicions, there isn’t much for me to work on. If you are arguing on the other hand that Sonia must be kept under suspicion for the sole reason that she’s not of Indian birth, then I must respectfully part ways with you. As far as I’m concerned, she’s been in India for 4 decades now. If she still can’t gain acceptance (module any malfeasance that I’m unaware of), then I’m not sure a bona fide citizenship document can satisfy you. I wasn’t making light of citizenship at all; your stating so was unwarranted. Per my reading of history, strong cultures remain strong and grow stronger by coopting people of other ethnicities. Being highly ethnocentric and insular has usually led to degradation, if not doom; our own civilization is a prime example. I’m unwilling to follow at least that example laid down by my forebears. The problem is not Sonia Gandhi alone, but the leadership of the Congress Party which propelled her to leadership in the aftermath of RG’s assasination. Congress party managers decided that Gandhi name is a vote winner and so let us surrender ourselves completely to The Family , never mind she became Indian citizen in 1983 , never held a public office, never made any public speeches, never shown in public issues, never mind she can’t speak any Indian language properly (in 1990) , leave alone familiarity with Classics of Indian culture like Valmiki Ramayana or Kamba Ramayanam , or Mahabharata or even Ghalib or Premchand or Tagore. A great party which led Indian Independence has castrated itself by elevating a Dynasty for Dynasty’s sake and great leaders of the party grovelling before a nobody. They were ready to make her a PM and hand over nuclear codes or all other state secrets to this nobody just because she happened to be wife of RG. Sonia was clever enough to reject their entreaties since she knew Indian politics can suddenly turn violent and deadly having lost 2 members of her adopted family (3 if you include Sanjay). But Slaves put her on a pedestal. If you give someone, anyone, so much prestige and power for no apparent reason, he or she can also begin to appear wise, hardworking, say the right words and whatnot. In fact due to the cloud on her citizenship issue , she was not given the PM post by the president in 1997 I think , when she first staked her claim. She has come to this level by her elevation within Congress and she will be tainted forever. Rahul is a different case. Still a Dynast. I reject SG for being foreign – both formally and informally. I reject Rahul for he is riding on the dynastic coats – even though that is a bit unfair on him. He is trying his best. OTOH, what is wrong with Congress having delivered body and soul to a dynasty. This is because of Indira – the 1971 election solidified the Nehru-Gandhi wing of Congress.. The general public did not see the British as preferable to their local rulers. It is for this reason that John Low had to exile Padsha Begum and Munna Jan from Lucknow. Had she remained in the city, the Begum would have been a symbolic focus of resistance. Similarly, the Peshwa had to be exiled from Poona and sent to a small town in UP. Finally, a large cause of the Mutiny of 1857 was the deposition of Wajid Ali Shah from Oudh. The Rani of Jhansi also served as a focus of resistance. Mount goes into great detail about the various ways that the British deceived the native princes and came up with schemes to annex their kingdoms. Lord Dalhousie, in particular, was responsible for swallowing up Jhansi and Oudh. The central character of the book, John Low, didn’t think that such annexations were a good idea and he is on record saying that. Perhaps the Kindle preview is of the first chapter, which describes the Lows of Chatto before John Low arrives in Madras. The bulk of the book takes place in India. I didn’t mean to say that the Kindle preview covers just the Scottish background; it extends well into the “first Indian Mutiny” near Madras in 1806. Let me clarify my question. We have available to us a fair amount of detail of the shenanigans of the EIC (and later, the Crown) as well as the conflicts and rebellions. My problem with these accounts is that they are pretty much all British accounts, written from the point-of-view of the British. The motivations and goals of the Indian actors in these dramas don’t seem to be available to us first-hand, they are all filtered through British interpretations and prejudices. At best, we know something about what motivated the various kings and petty lords, whether they submitted to the British or fought against them. But I don’t understand what made the common person tick. Even the soldiers: reading about these “mutinies”, it seems like they ought to have been cakewalks for the mutineers, who had overwhelming numbers and the element of surprise. Yet, something (mentally, physically?) failed them and they lost all too easily. The general population also, with some exceptions in UP in 1857, seemed largely apathetic. If this was indeed the case, I’d like to understand why. Today, in hindsight, we construct narratives (Shashi Tharoor’s book being one example) of continuous oppression and machiavellian plots by the British to keep us down, but I find them somewhat inadequate, just because of the overwhelming numbers’ difference between Indians and British. Mount calls the Mutiny of 1857 a “national revolt”. All social classes were involved in it, though it did begin as a sepoy rebellion. They rallied to Bahadur Shah Zafar, whom they saw as the legitimate ruler of all of India. On a local level, people rallied to the Rani of Jhansi or Begum Hazrat Mahal in Lucknow. This book is specifically about the experiences of the ruling class and how they consolidated their rule, deceiving many native princes in the process. I’m sure there are other books which take the Indian perspective on events. Does Mount shed any light on why Indians seemed to be so in thrall of British strength and authority (even potential) that kings and rebels could not make their numeric advantage count, even after having won the initial rounds? I have issues with referring to 1857 as a national revolt. There doesn’t seem to have been much fighting outside UP and Bihar. There was an odd rebel in what’s now Haryana and MP, and something up near Peshawar, but that’s about it. Nothing happened in Bengal, or the South, or in the Maratha heartland. Punjabis actively colluded with the British to put the rebellion down. Maybe I’m overthinking this. It could a combination of (1) deep-seated mistrust among the kings and peoples of the subcontinent, preventing them from cooperating with each other, and (2) a fear of losing and British retribution. I don’t know if (2) was entirely rational of there was an element of cowardice. Mangal Pandey rebelled at Barrackpore. His regiment was then disbanded, which supposedly contributed to the Mutiny. In Punjab, the British disbanded the native regiments before anyone could mutiny. Still (if I remember the details correctly) troops did rebel in Sialkot. But John Lawrence basically kept the situation under control. The rebels under Bahadur Shah’s sons kept the British under siege in Delhi for a number of months. I don’t think I should read this book; would make my blood boil.. It is very engaging (though at over 600 pages quite long). I feel Sir Ferdinand was quite fair to both sides. He notes that John Low believed in letting native kingdoms be but lost out to various governors-general, especially Lord Dalhousie. Some of the Indian characters are quite interesting (Wajid Ali Shah, the Rani of Jhansi, the Begum who tried to put Munna Jan on the throne). Sir Ferdinand has an Indian son-in-law (Pankaj Mishra). It took Delhi Sultanate less than 100 years to conquer whole of N-India and bengal, and after that not withstanding some resistance from rajputs it remained under their thumb(specially bengal). In south, Khilji made short work of our mighty ‘2000 BC’ dysntany etc and it took even less time to subjugate the south. ‘2000 BC’ dysntany ??? who was that and according to whom? Malik Kafur , the general of Allahuddin Khilji captured Madurai from Pandyan dynasty . That Sultanate lasted for about 50 years and was given a send-off by Vijaynagar kingdom. Pandyan rulers did not claim Kumarikandam as their birth place or anything like that. KK /Lemuria is a 20th century phenomenon – and it is an offshoot of Theosophical ideas . Theosophical Society had a great cultural influence in India and abroad – and it is really underappreciated / overlooked One can write a lot about it. While subjugation was a reality, desire to throw off foreign yoke and establishment of Hindu states was also the case. Vijaynagar kings who overthrew many Muslim sultans styled themselves ‘ Hindu suratrana’ in some of their epigraphs . Suratrana is possibly a sanskritization of arabic ‘Sultan’ . Mahratta kings also styled themselves Hindu rulers . So also Sikh kingdoms were motivated by a desire to overthrow foreign rule . So,a desire for Hindu political order was evident from 14th century onwards. Is it a coincidence that Bal Thackeray has a British sounding last name? Minor typo: the place name seems to be “Clatto” and not “Chatto”. Wikipedia confirms that you are right. I must be a bit dyslexic. Feel that the “war” of 1857 is overtly romanticized. It was N-Indian war between the older british colluder (bengali,biharis,UP walas) communities vs the recent colluder (Punjabis,pathans,gurkhas) communities. Suddenly the original colluders found out that the british have moved on to “better” ethnicities and now our boys suddenly discovered love for motherland. Similar to all the tinpot kings and queen who found patriotism only after the doctorine of lapse kicked in. But yeah, every community wants a myth to hold on to. It seems to have been the annexation of Oudh and of Jhansi that really upset people. That and the greased cartridges. I feel it has to do with comparative non-contribution of the muslim league during the India Independence struggle. This makes them look for other places where muslim fought the british and 1857 is the probably one of the few places where they did fight so that is that. Except for Bahadur Shah Zafar (who was very reluctantly dragged into a position of nominal leadership. Legend has it the gates of red fort were locked to the rebellious soldiers who came from Meerut to invite the king to be their leader) here are the other individuals I have heard specifically associated with positions of leadership in the mutiny: Mangal Pande, Tatya Tope, Nanasaheb Peshwa, Rani Laxmibai. I am not sure where the characterisation of the mutiny as a “Muslim” uprising comes from. I’d appreciate additional info. You are right that the Rani of Jhansi and the Nana Sahab were major figures in the Mutiny. The British did treat it as a “Muslim” uprising and punished the Muslims more severely. I read somewhere ( I don’t recall exactly where right now) that they did not let Muslims come back to live in Delhi for a certain period of time. The failure of the Mutiny is also what finally ended Mughal rule in Delhi (however nominal it was). India has to be understood as a civilization when we’re talking of British conquest or Khiljis etc, not some nation state. Navel gazing is a very human trait across the board. All this hypothetical of if Maratha had aligned with Mysore or Hyderabad should be confined to the same category of if England had aligned with France and Spain. These are all legitimate political sovereigns operating with what they understand is best interests of their sovereignty. The question one should be asking is what caused the tremendous power disparity that the only way we hypothesize political sovereignties occupying Indian civilization space can defend against Western nation states is by coming together in confederation? I have an attempted answer to that, in that it is due to a natural tendency to navel gaze (across the board human characteristic) plus fact that it is accentuated when said Indian civilization is sitting on world’s biggest productive economy which without a proper umbrella of a nation state structure can lead to no desire to improve or protect beyond what is already there. Minor technological advances between one group vs others doesn’t overnight change global wealth/prosperity structures. Today South Korea has a lead on Western world in lot of digital aspects. Today China has lead on Western militaries in hypersonic technologies and US is playing catch up. This has not led to the Chinese overtaking American military power or any kind of power projection capability. The US still can utilize its overall power to perhaps attract the top Chinese engineers literally involved in these technical advances over to immigrate to the US. And the US does do so. Now that kind of strategic thought, did any Mughal imbibe that while ruling from Delhi? When they encountered Portuguese in Goa, did they not find out that the Portuguese were circumnavigating the world? Instead Portuguese were able to extract a type of extortion tax from hajjis going from Mughal India to Arabia over the Arabian Sea, a body of water that should have been a lake to the Mughals. The irony is that possibly the Mughals didn’t find a need to expand or even the thrill of a gold laden infidel land in Americas wasn’t enough as they already had the same in India. Mughals could have easily used the overall economic power of Mughal India to buy the entire Portuguese colonists in Goa into the Mughal state, but as I mentioned, navel gazing. By the time of Peshwa and Tipu it is already too late because a small island nation of Europe should not require massive Indian wealthy states to have to transcend to some level of unbeknownst nationalism and come together to fight them off. Civilizationally India fell behind from time of Sultanate as Al Beruni notes about Indian sciences retreating from northwest. 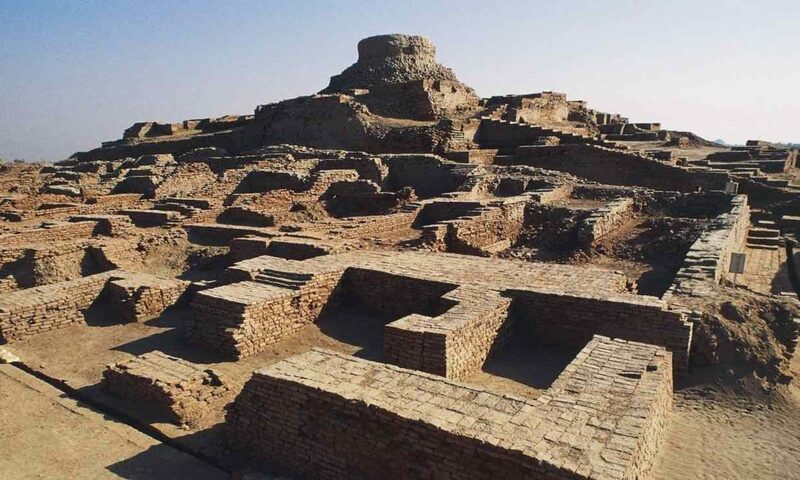 It might even be pre Islamic but still central Asiatic usurpation related as in from all the post Gupta polities that resulted in north and northwest India. India by the time of Muslim invaders is a wealthy but defenseless land ripe for plunder, and by the time of Brits even more so. 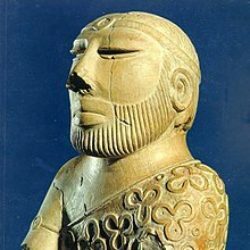 We have an entropic decline from the days of Indus Valley (not making comments either way about Aryan migration). The present is always karmaphal of the past, nothing that happens is per chance or unrelated to the past. It will be good to understand these historical phenomena from unbiased political view and also do it from a perspective of not “accusing” various modern day communities (and their own narratives) of being treasonous to some grand Indian story. Everyone navel gazes and hindsight is 20/20. Strategic pan Indic thought needs to be imbibed to prevent future subjugation of Indian civilization and create circumstances for its uninterrupted peaceful revival. We can learn from the past to prevent navel gazing tendencies to overpower us today as well. Previous PostPrevious Does Bangladesh need to do more to “assert” itself?